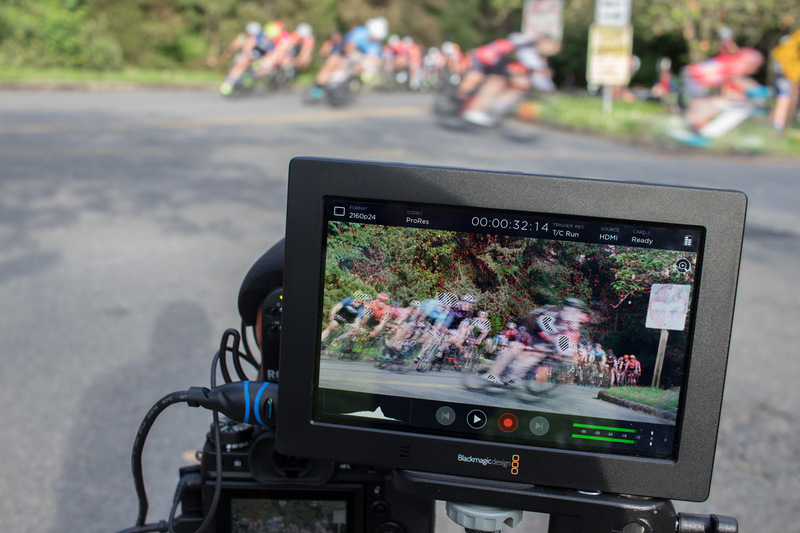 If you find yourself wondering ‘why would I even want an external monitor/recorder’ then I’d suggest you spend a few moments reading our article on the topic. The short answer is that it’s a great way to expand the tools for, and maximize the quality of, video capture on your current camera. The Video Assist 4K is the larger of Blackmagic Design’s current monitor/recorders. It features a 7″, 1920 x 1200 pixel display and the ability to capture up to UHD/30p video in 10-bit 4:2:2 quality. It can accept video across HDMI or 6G-SDI inputs and offers outputs for when you want to include it in a more complex setup. It’s been on the market since April 2016 so it doesn’t match the spec of the latest 4K/60p capable competitors, nor can it shoot the wider-screen DCI flavor of 4K but, through a series of firmware updates, Blackmagic has been adding features to this sub-$1000 monitor/recorder. And, since it’s likely to be a while before a majority of brands offer cameras capable of 4K/60p, its age doesn’t weigh too heavily against it, unless you want to shoot the more cinema-like 1.85:1 DCI aspect ratio. The Video Assist 4K can record in a variety of popular codecs, so that the files are immediately ready for use in Adobe Premiere, Apple Final Cut Pro or AVID Media Composer. All the Apple codecs and the 220 and HQX versions DNx are captured in up to 10-bit detail. Blackmagic Video Assist 4K review posted on DP Review on July 26, 2017 1:15 pm .